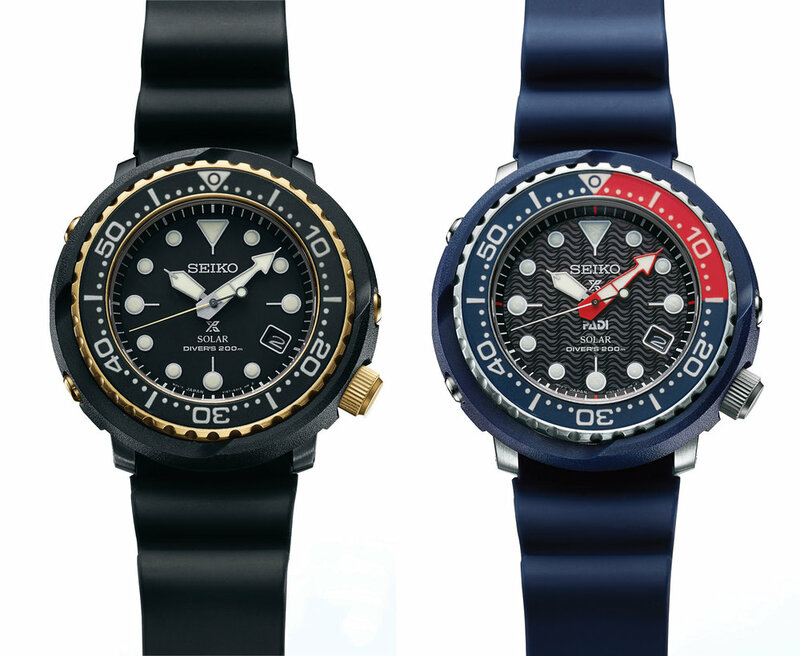 Seiko has quietly announced some new solar Tuna models. 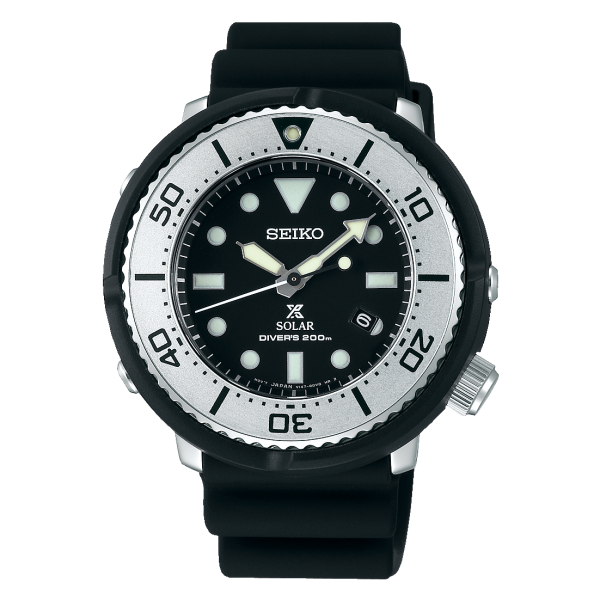 The shrouded divers design is very distinctive and instantly recognisable as a Seiko. The tuna models have always been a large watch with the standard models a little over 49mm in diameter and over 15mm in depth. Seiko has managed to slim down this design and while still quite large with a diameter of 46.7 mm and a reduced thickness of 12.4mm. The models are rated at 200m instead of the significantly deeper depths on other modern tunas but this would not be of concern for the intended audience of recreational divers. These new models will come in three different versions but currently information on just two have been announced. 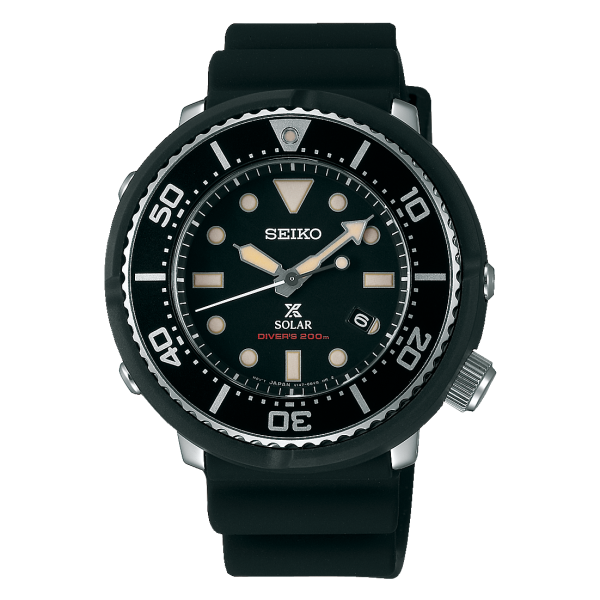 The first model is the SNE498P1 that is a modern reinterpretation of the 1978 original quartz tuna model (7549-7000). This has the classic golden bezel, golden shroud screws, black strap, black shroud, black dial and silver hands. This model is going to be used in an advertising campaign featuring new Prospex brand ambassador Fabien Cousteau and with the classic looks I am sure it will be very popular. The other watch announced is another PADI branded model, the new SNE499P1. 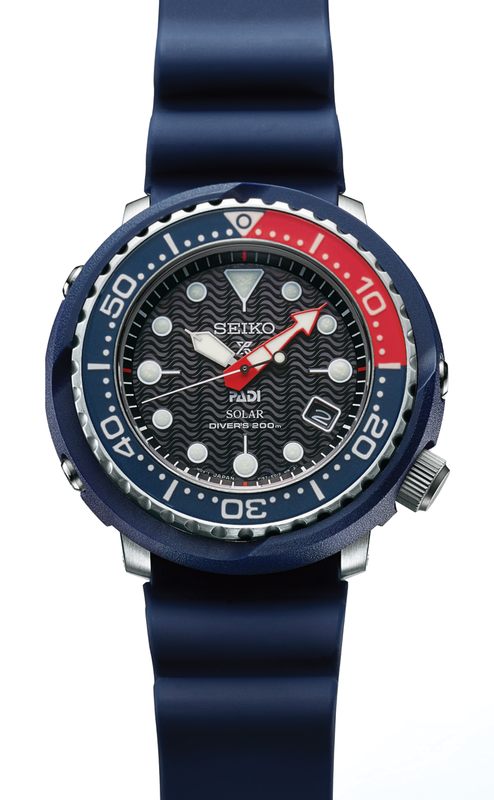 This has a blue strap, blue bezel, pepsi bezel insert, a red minute hand and a black wave patterned dial with the PADI logo. Like the other PADI Prospex models this is also listed as a Special Edition but as we have seen the model should still be very widely available. The third mentioned example is a stainless steel model. but at this time there is not further information available. 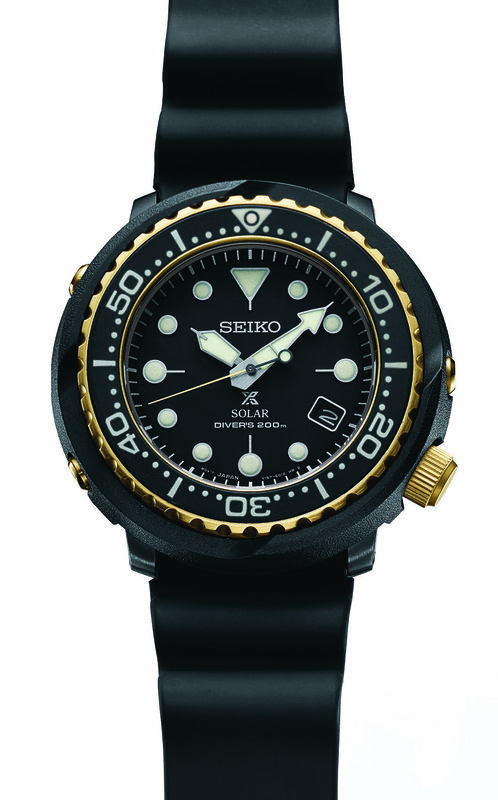 Seiko has previously released a number of smaller sized solar tuna models that were Limited Editions in the Japanese market. These models were slightly smaller than the newly announced models with the cases having a diameter of 45.85mm compared to the new SNE49x at 46.7mm. The previous JDM models had a thickness of 12.14mm compared to the slightly thicker new SNE49x's at 12.4mm. Below are a couple of examples of the JDM solar models. As you can see the the newer models have a better balance to them compared to the very wide bezel found on the older JDM models.